© Fitts et al. ; Licensee Bentham Open. Surgically-created blood conduits used for chronic hemodialysis, including native arteriovenous fistulas (AVFs) and synthetic AV grafts (AVGs), are the lifeline for kidney failure patients. Unfortunately, each has its own limitations; AVFs often fail to mature to become useful for dialysis and AVGs often fail due to stenosis as a result of neointimal hyperplasia, which preferentially forms at the graft-venous anastomosis. No clinical therapies are currently available to significantly promote AVF maturation or prevent neointimal hyperplasia in AVGs. Central to devising strategies to solve these problems is a complete mechanistic understanding of the pathophysiological processes. The pathology of arteriovenous access problems is likely multi-factorial. This review focuses on the roles of fluid-wall shear stress (WSS) and endothelial cells (ECs). In arteriovenous access, shunting of arterial blood flow directly into the vein drastically alters the hemodynamics in the vein. These hemodynamic changes are likely major contributors to non-maturation of an AVF vein and/or formation of neointimal hyperplasia at the venous anastomosis of an AVG. ECs separate blood from other vascular wall cells and also influence the phenotype of these other cells. In arteriovenous access, the responses of ECs to aberrant WSS may subsequently lead to AVF non-maturation and/or AVG stenosis. This review provides an overview of the methods for characterizing blood flow and calculating WSS in arteriovenous access and discusses EC responses to arteriovenous hemodynamics. This review also discusses the role of WSS in the pathology of arteriovenous access, as well as confounding factors that modulate the impact of WSS. Keywords: Arteriovenous fistula, arteriovenous grafts, endothelial cells, hemodialysis vascular access, hemodynamics, shear stress..
Two types of long-term hemodialysis vascular access exist: the arteriovenous (AV) fistula and AV graft. For patients with chronic kidney disease (CKD), long-term maintenance hemodialysis may be required as the disease progresses and kidney fails. Chronic hemodialysis vascular access is achieved through either the surgical creation of a native AV fistula (AVF) or the implantation of a synthetic AV graft (AVG) made of expanded Teflon® (polytetrafluoro-ethylene) . In October 2010, 57% and 20% of chronic hemodialysis patients in the U.S. use AVFs and AVGs, respectively , and the rest use catheters. Without long-term vascular access, the only safe, clinically used method to obtain sufficient blood flow rate for hemodialysis is through a central venous catheter with its inherent risks. Although AVFs and AVGs are the lifeline for patients who require maintenance hemodialysis, each has its limitations: AVFs often fail to mature to become useful for dialysis and AVGs often fail due to stenosis as a result of neointimal hyperplasia (NH), which preferentially forms at the graft-venous anastomosis. Currently no clinical therapies are available to significantly improve the problems of AVF non-maturation or prevent NH in AVG. The pathology of AV access problems is likely multi-factorial, and this review focuses on the roles of fluid-wall shear stress (WSS) and endothelial cells. In AV access, shunting of arterial blood flow directly into the vein alters the hemodynamics in the vein drastically. These hemodynamic changes are likely major contributors to non-maturation of an AVF vein and/or formation of NH at the venous anastomosis of an AVG. Endothelial cells line the inner surface of the blood vessel walls, separating blood from the other vascular wall cells and also influencing the phenotype of these other cells. In AV access, endothelial cells are directly exposed to aberrant WSS and their responses to aberrant WSS may subsequently lead to AVF non-maturation and/or AVG stenosis. The relationship between aberrant WSS and undesired vascular remodeling is well-established in the arterial circulation, but not yet in the vein, particularly in the AV conduit setting. Studies have shown that local hemodynamics clearly contribute to atherosclerosis [3-5]. Unidirectional, laminar WSS activates mechanotransduction pathways that lead to quiescent endothelial phenotype, release of nitric oxide, and down-regulated expression of pro-proliferative and pro-inflammatory genes [4, 6-9]. Thus, arterial regions where unidirectional, laminar WSS exists are relatively free of the formation of atherosclerosis or arterial NH [5, 10, 11]. In contrast, disturbed flow or oscillatory WSS, examples of complex blood flow, activates mechanotransduction pathways that lead to decreased release of nitric oxide and up-regulated expression of pro-inflammatory, pro-proliferative, and pro-thrombotic genes [4, 7-9, 12, 13]. Complex blood flow tends to exist at areas of stenosis or vascular bifurcation, and these locations have increased presence of atherosclerosis and arterial NH [3, 5, 10, 11, 14]. Venous NH, which could lead to stenosis and even occlusion in an AV conduit, is considered to be a primary cause of AVF and AVG failure. Limited information exists about the impacts of WSS on AVFs and AVGs where aberrant hemodynamics occurs, despite extensive research on these concepts in arterial NH and atherosclerotic vascular disease. To provide an overview of the major clinical problems for chronic hemodialysis vascular access. To discuss the role of fluid-wall shear stress in the pathology of arteriovenous access failure. To provide an overview of methods for characterizing blood flow and calculating shear stress in arteriovenous access. To discuss hemodynamics in arteriovenous access. To provide an overview of endothelial cell responses to physiological and arteriovenous hemodynamics. To discuss confounding factors modulating the impact of shear stress on venous remodeling. To consider additional relevant factors beyond shear stress and endothelial cells. The AVF is the preferred method of long-term hemodialysis vascular access, because it uses native blood vessels to create an AV conduit, could last for many years, and has few complications when compared to synthetic AVGs. However, AVFs may take months (approximately 3-6 months) to mature to become usable, and up to 60% of AVFs fail to mature . The AVG, made of synthetic expanded polytetrafluoroethylene (ePTFE), provides sufficient blood flow rate needed for dialysis within weeks (approximately 2 weeks) after implantation, but is inherently subject to complications related to foreign body response. The central venous catheter (CVC) is only recommended for short-term use due to high rates of infection, and is used as a transitional access for patients who have received AVF creation or AVG implantation surgery but need dialysis before the AV conduits become ready. The tunneled CVC has a subcutaneous cuff that could potentially render it suitable for long-term use (months to years), but this is not a standard practice due to the many complications associated with CVCs . All three types of vascular access produce aberrant flow conditions that could lead to neointimal hyperplasia, thrombosis, stenosis and eventual occlusion. The focus of this review is on AVFs and AVGs. AVFs are usually created in the forearm between the radial artery and cephalic vein or in the upper arm between the brachial artery and the cephalic or basilic vein. The KDOQI guideline for pre-surgical arterial diameter is >2.0 mm . The KDOQI guidelines of the post-surgical, mature AVF vein criteria are venous diameter >6.0 mm and flow rates >600 ml/min with a depth beneath the skin surface of approximately 0.6 mm . AVFs are the preferred mode of long-term vascular access because once they mature and become functional, they have the least complications. In the U.S., primary patency rates in AVFs are approximately 56% at 1 year and 40% at 2 years , and intervention rates in AVFs are 0.06-0.57 interventions/year . The main problem of AVFs is that many fail to mature and become clinically usable . The etiology of failure can be separated into acute failure (such as thrombosis) and chronic non-maturation. Non-maturation, defined as an inability to achieve clinically necessary blood flow rate during two needle hemodialysis within two to four months after AVF creation surgery, is the primary cause of AVF failure, with recent studies reporting 20-50%  and even 60% non-maturation in a multicenter randomized trial that had 1284 patients . Several studies have investigated the specific blood flow rates and the structural changes of blood vessels that are associated with AVF non-maturation. For example, a few studies reported that the insufficient dilation of blood vessels and the formation of NH are responsible for at least some AVF non-maturation [21-24]. Krishnamoorthy et al. reported that vascular stenosis often occurred in the venous segments of porcine AVFs that did not adequately mature , and a recent clinical study by Allon et al. showed that post-operative stenosis is associated with AVF non-maturation . A synthetic AVG is surgically created usually in the forearm between the radial artery and cephalic vein. One of the clinical criteria for AVGs in the U.S. is a blood flow rate to the hemodialysis machine of >350 ml/min . When compared to AVFs, the critical problem of AVGs is their low primary patency rate, approximately 38% at 1 year and 25% at 2 years, as reported in a clinical study of 1574 patients . In 90% of AVG patency failure cases, acute failure due to thrombosis is attributed to stenosis caused by NH . In a study of 90 subjects, NH in 58% of AVG patients was seen at the graft-venous anastomosis or within 1 cm up- or downstream of the venous anastomosis; in contrast, only 4% of AVG patients had NH at the graft-arterial anastomosis and 19% in the peripheral basilic vein, with the rest primarily in upstream proximal veins . Currently, stenosis in AVGs is largely treated with balloon angioplasty, but this procedure induces restenosis due to vascular wall injury. A clinical trial showed that the use of balloon angioplasty plus placement of a stent graft is superior to balloon angioplasty alone for the treatment of stenotic dialysis grafts . The mechanisms behind AVF non-maturation and/or AVG NH are not yet completely understood, but likely result from aberrant fluid-wall shear stress affecting vascular remodeling and endothelial cell functions, which are discussed below. Major hemodynamic stresses exerted on vascular wall cells. Pressure and stress are defined as force per unit area. ‘Shear’ stress, such as fluid-wall shear stress (WSS), acts parallel to the area and ‘normal’ stress, such as blood pressure, acts perpendicularly to the area. Cells in the wall also experience circumferential wall stress. This figure was initially published in Kidney International by Nature Publishing Group . Magnetic resonance imaging (MRI)-to-computational fluid dynamics (CFD) pipeline. The pipeline to obtain the blood vessel lumen geometry serving as the structural boundary for CFD is shown in Panels A-D. Panels E-F show the pipeline for extracting blood flow rates to be used as CFD flow boundary conditions. (A) Contrast-free black-blood MRI was performed to image lumen geometry. An example DICOM image shows an axial cross-section of the arm (arrow indicates the lumen of an AVF vein). (B) Segmentation of the AVF vein and artery was performed on the same example DICOM image (AVF vein lumen filled green). (C) The segmented lumen from several slices resulted in a 3D reconstruction and (D) were meshed volumetrically. (E) Contrast-free cine phase-contrast MRI was performed over a cardiac cycle over a forearm AVF, and (F) blood flow rates during the cardiac cycle were extracted from the MRI data. (G) A CFD-derived wall shear stress (WSS) profile where the feeding artery is the vessel on the bottom and the fistula vein is the curved vessel branching off of the feeding artery. Reprinted from Journal of Biomechanics, Y He, C Terry, C Nguyen, S Berceli, Y Shiu, A Cheung, "Serial analysis of lumen geometry and hemodynamics in human arteriovenous fistula for hemodialysis using magnetic resonance imaging and computational fluid dynamics," 46:165-169. Copyright (2013), with permission from Elsevier . WSS profiles in an AVF of a hemodialysis patient. Contour plots of the WSS values averaged over a cardiac cycle for MRI scans at (A) 4, (B) 5, and (C) 7 months (mos) after AVF creation. The highest WSS values were found at the anastomosis (arrow) and the region of stenosis (arrowhead) of the AVF vein at all 3 time points. However, AVF WSS decreased from 4 to 7 mos. Note that the color scale bar was adjusted for peak WSS at each time point and the anastomosis and artery were maintained at the same angle of view for all 3 time points. However, the AVF vein deformed over time, obscuring the view of the accessory vein at 7 mos. In these images, the feeding artery is to the right of the anastomosis, the distal artery is to the left of the anastomosis, and the fistula vein is branching off of the artery at the anastomosis and the accessory vein branching off of the fistula vein just above the stenosis. Reprinted from Journal of Biomechanics, Y He, C Terry, C Nguyen, S Berceli, Y Shiu, A Cheung, "Serial analysis of lumen geometry and hemodynamics in human arteriovenous fistula for hemodialysis using magnetic resonance imaging and computational fluid dynamics," 46:165-169. Copyright (2013), with permission from Elsevier . where Q is the blood’s volumetric flow rate and r is the inner radius of the blood vessel . Thus, WSS depends on a variety of factors. For example, WSS increases with higher blood viscosity, velocity and volumetric flow rate, and also increases as the radius of the blood vessel decreases . Large arteries have physiological WSS values of 10-70 dyn/cm2, while physiological WSS levels in large veins are 1-5 dyn/cm2 [32, 34]. AVF creation and AVG implantation with subsequent shunting of arterial flow into the vein results in a drastic increase in WSS on the venous wall. While there is a wealth of information in the literature regarding the effect of WSS on arterial wall remodeling and arterial wall cell function, such information is not yet available for the vein. For example, in arteries, atherosclerosis preferentially occurs in regions of low and/or oscillatory WSS , whereas in relatively straight arteries where blood flow is usually laminar, chronically increased blood flow and WSS result in chronically enlarged lumen diameter [35, 36]. These adaptive responses imply that the vessel area adjusts to return the WSS levels to the initial values [37, 38]. Whether a similar relationship exists between the WSS and lumen diameter in the vein is yet to be verified by experimentation. There are a few reports linking WSS to venous remodeling in the AV access setting, and they are discussed below. Several published findings support a role of blood flow in AVF maturation and/or non-maturation . For example, pre-surgical blood flow has been correlated with subsequent successful maturation, with a clinical study finding AVF venous blood flow significantly lower in the non-maturing group (n = 10) vs the mature group (n=43) (450 ± 214 vs 814 ± 348 ml/min, p = 0.003) . Among the several types of hemodynamic stresses exerted on the vascular wall, WSS appears to have the greatest impact on vascular responses. In a study of AVF hemodynamics by Ene-Iordache and Remuzzi , both low and high WSS values have been associated with stenosis formation and therefore, are implicated in AVF non-maturation. However, in this report the WSS value was calculated for a large portion of the AVF vein . It is important to note that WSS is strongly dependent on local wall curvature and physiological flow patterns, thus, ideally it would be better to consider the relationship between stenosis and WSS at a higher spatial resolution. NH is the primary cause of AVG failure and is defined by proliferation of smooth muscle cells (SMCs) and fibroblasts, formation of microvessels, and matrix deposition . The venous anastomosis is the main location of NH in AVGs . In an animal study using a porcine model with an AVG implanted between the carotid artery and jugular vein, it was found that a rapid neo-intimal response occurred at the venous anastomosis along with a 50% loss of patency at 8 weeks . Although low WSS levels (<3 dyn/cm2) have been reported to increase NH in a canine model of interpositional artery graft made of ePTFE , high WSS levels (>50 dyn/cm2) have been reported to increase NH in a porcine model of arteriovenous graft made of ePTFE . These reports, however, used roughly estimated WSS. In an iliac artery to ipsilateral iliac vein porcine AVG model, Misra et al. calculated WSS by using Poiseuille’s law (Equation  above) and found that the average WSS value in the venous anastomosis normalized at day 3 post graft-implantation surgery, then increased by day 7 and day 14 while the mean vessel lumen area decreased as a result of NH formation at day 14 . Hemodynamic parameters such as wall shear stress (WSS) and oscillatory shear index (OSI, which describes the change in WSS values and blood flow direction during a cardiac cycle) cannot be measured directly, as they are functions of the local velocity gradient near/at the blood vessel wall (see Equation  above). The lumen size and flow rate are needed for calculating WSS. In previous studies, several methods of geometric reconstruction have been used (reviewed by Taylor and Steinman ), including ultrasound, X-ray computed tomography, and magnetic resonance imaging (MRI). Local blood flow rates have been measured using Doppler ultrasound and phase-contrast MRI . The pressure, flow rate, and WSS that have been reported in the literature for human are summarized in Table 1. This table also includes strain, which can be used to estimate circumferential wall stress (Fig. 1). Pig hemodynamics and vessel size are similar to human and have been used extensively in AVF and AVG research . The pressure, flow rate, and WSS that have been reported in the literature for pigs are summarized in Table 2. As shown in both tables, most of the WSS values reported in the literature were calculated using Poiseuille’s law (Equation ) and the flow rate and lumen size that were measured at specific locations. In order to obtain a detailed spatial profile of WSS throughout the entire lumen of an AVF or AVG, methods that can give 3D lumen geometry need to be used; ideally, these methods should acquire geometry and flow information simultaneously. Hemodynamics in human arteriovenous fistula (AVF), arteriovenous graft (AVG), arterial bypass graft (ABG), artery and vein. Notes: (a) Unless otherwise specified, time in parenthesis is post-surgery. (b) n/a: not available. (c) CFD: computational fluid dynamics. Hemodynamics in porcine arteriovenous fistula (AVF), arteriovenous graft (AVG), artery and vein. Notes: (a) Time in parenthesis is post-surgery. (b) n/a: not available. (c) CFD: computational fluid dynamics. Computational fluid dynamics (CFD) is a method of numerical simulation that can be used to determine blood flow fields in anatomically accurate vessels. Direct measurement of velocity at high resolution in the entire AV conduit lumen is difficult, due to the complex geometry and high blood flow rates in those regions. Image-based CFD simulations in blood vessels were first used to study hemodynamics in atherosclerotic carotid [61, 62], coronary arteries , and abdominal aortic aneurysms . These are some of the most clinically relevant and well-studied image-based CFD simulations in large arteries. Image-based CFD simulations in both AVFs and AVGs have been increasing in recent years, with AVF studies focusing primarily on fistula maturation, and AVG studies on NH development. In AVGs, image-based CFD studies include canine  and porcine models . In these previous studies, hemodynamic values are averaged over a large area, even though WSS is dependent on local wall geometry. For this reason, there is a need to develop higher-resolution CFD studies in order to fully explore the hemodynamics of both AVF and AVG. He et al. developed an MRI-CFD protocol that uses state-of-the-art techniques to characterize blood flow and calculate WSS in human AVF (Fig. 2) ; this protocol has also been used in AVG . The protocol by He et al. uses contrast-free MRI, black-blood MRI for lumen geometry and cine phase-contrast MRI for flow measurement. These techniques have several advantages over the alternatives: (a) simultaneous measurement of both luminal geometry and blood flow rate, allowing better registration of geometry and flow than using other methods that obtain this information separately (e.g., computed tomography for geometry and ultrasound for flow rate); (b) higher resolution (0.25 x 0.25 x 2 mm for black-blood, 0.7 x 0.7 x 3 mm for phase-contrast) and a larger field of view (180 x 180 mm2 for black-blood and 180 x 112 mm2 for phase-contrast images) capable of spanning the entire AVF or AVG lumen, as compared to ultrasound; (c) MRI does not involve ionizing radiation as in computed tomography, so the patients will not be subjected to ionizing radiation. This is particularly important for patients with compromised kidney function [68, 69]. The paper by He et al. was the first to provide a comprehensive, detailed profile of WSS of a dialysis AVF (Fig. 3). remodeling in the artery and vein, though the vein has received more attention in AVF research [72, 73]. Normally in a physiological setting, in response to a sudden increase in flow rate, the vein and artery would dilate to maintain a baseline range of WSS levels (which is 1-5 dyn/cm2 for vein and 10-70 dyn/cm2 for artery [32, 34]); the flow-mediated dilation is via endothelial-mediated responses such as the release of nitric oxide and other endothelium-dependent vasodilators [20, 22, 25, 34, 70]. In the arterial circulation, low WSS has been linked to atherosclerotic lesion formation and increase in intima-media thickening , whereas high WSS levels are considered to result in the survival of the endothelium and decreased intima-media thickening. However, it is important to note that in arteries, extremely high WSS levels around 1000 dyn/cm2 can usually be attributed to stenosis and thrombosis [75, 76]. It has been proposed that high WSS levels (approximately 25 dyn/cm2 in the vein ) result in large vessel diameters and lack of NH, whereas low and/or oscillatory WSS levels (<10 dyn/cm2 in the vein ) result in small vessel diameters that are attributed to insufficient vascular dilation and neointimal hyperplasia . However, decreased WSS levels over time have been found to result in vein dilation in a pig AVF model . It is important to note that in these previous studies, the reported WSS values were usually estimated for a large region and the WSS values and lumen size were determined at the same time. To better understand any causal relationship between early WSS and later lumen area changes, ideally we should know WSS and lumen area at a higher spatial resolution in a longitudinal study. As mentioned above, He et al. developed an MRI-CFD protocol that uses state-of-the-art techniques to characterize blood flow and calculate WSS in human AVF. The detailed WSS profiles within the AVF of a dialysis patient at several time points after AVF surgery are shown in Fig. (3). This figure allows us to appreciate the heterogeneity of WSS, how WSS spans a large range of values in the AVF lumen, and how WSS changes over time. Synthetic vascular grafts made of expanded Teflon® are used in several other applications than hemodialysis access, including peripheral artery bypass and coronary artery bypass. Like AVG, these synthetic arterial bypass grafts (ABGs) also suffer from NH, which often occur at the downstream (i.e., distal) graft-vessel anastomosis . In a clinical study of surveillance of infrainguinal lower limb grafts, stenosis tended to form at the distal anastomosis of the prosthetic graft . It is important to note that synthetic ABGs, particularly those in peripheral arteries, tend to have much lower flow rates than AVGs (200-300 ml/min in synthetic ABGs as compared to 1000-2000 ml/min in AVGs) and therefore, WSS tends to be lower in synthetic ABGs (approx. 20 dyn/cm2in synthetic ABGs as compared to approx. 60 dyn/cm2 in AVGs) . Synthetic ABGs also have less occurrence of turbulent flow than AVGs. Cuffed graft designs have been used to improve anastomotic hemodynamics, and have been shown to be more effective at preventing hyperplasia in synthetic ABGs, but have not been extensively researched in the extremely high WSS environment of AVGs [77, 79]. As mentioned above, low WSS (<3 dyn/cm2) has been reported to increase NH development in a canine model of interpositional artery graft , whereas local elevated WSS (>50 dyn/cm2) has been reported to increase NH development in a porcine AVG model . Previous studies regarding the impact of WSS on NH development have focused on large regions such as the venous anastomosis and have not yet investigated the longitudinal (over the time course of NH development) impact of local hemodynamics or other features of disturbed flow (such as OSI). For example, in Binns et al. , WSS in the canine model was obtained by estimation from Poiseuille’s law (Equation ) using flow rates measured with an electromagnetic flow meter and luminal size obtained by histology. In Misra et al. , WSS in the porcine model was also obtained by estimation from Poiseuille’s law using velocity measured at discrete 2D slices using cine phase-contrast MRI and luminal area obtained by 3D magnetic resonance angiography and histology. We have used the MRI-CFD approach by He et al. mentioned above  to characterize WSS in a porcine AVG in a more comprehensive manner . The mechanobiology of endothelial cells (ECs) has been extensively studied in the context of arterial function, both in homeostasis and dysfunction. Much of the pioneering work on mechanotransduction of blood flow in ECs was done in the context of atherosclerosis (see comprehensive reviews by Davies  and Malek et al. ). Atherosclerotic lesions (whose histological features are accumulation of calcium and fatty materials) tend to develop at locations of large arterial wall curvature near vascular branching points , with correspondingly complex flow as compared to a straight conduit arterial section where high and laminar WSS of 10-70 dyn/cm2 occurs. In arteries, low and oscillatory WSS (±0-4 dyn/cm2) has been linked to the localization and formation of atherosclerotic lesions [14, 74, 82, 83]. For this reason, it has been proposed that low and oscillatory WSS at the graft-vessel junction may lead to EC dysfunction and subsequent NH formation at this location in ABG and also AVG [77, 84]. However, it is important to note that the histological feature of neointimal hyperplasic lesions is very different from that of atherosclerotic lesions. NH primarily consists of highly proliferating vascular smooth muscle cells(SMCs) and myofibroblasts, as well as the presence of neovessels and inflammatory cells . In addition, there exists an asymmetric pattern of development of NH in ABGs and AVGs. In ABGs, NH tends to develop at the downstream (i.e., distal) graft-arterial anastomosis, rather than the upstream (i.e., proximal) graft-arterial anastomosis . In AVGs, NH is much more prevalent at the downstream venous anastomosis than the upstream arterial anastomosis . Some studies have suggested a number of means by which the biology of venous stenosis could be influenced by WSS [25, 71]. Optimal venous endothelial function has been associated with moderate and high WSS levels; additionally, reduced expression of adhesion molecules, increased expression of endothelial nitric oxide synthase, and reduction in oxidative stress have also been attributed to moderate and high WSS levels, though the authors did not indicate specific WSS values . Conversely, low WSS levels have been associated with endothelial dysfunction, reduced production of nitric oxide, increase in oxidative stress, increase in neointima formation, and a tendency toward vasoconstriction in the vein [25, 85]. In AVF- and AVG-specific settings, it is important to note that venous EC response to WSS is not always identical to arterial EC response. Using veins from patient AVFs, Jones et al. found that 80-90% of fistula vein ECs showed strong staining for endothelin-1 as compared to control saphenous veins. Furthermore, when compared to those in the control vein, the majority of fistula vein ECs were smaller but elongated with several endothelial mitoses, newly divided cells, and hyperchromatic nuclei [86, 87]. Matrix metalloproteinase (MMP)-2 and MMP-9 were overexpressed at the site of neointima in a rat AVF model  and a rabbit AV shunt model . These results indicate that MMPs play a critical role in neointimal lesion development in AVF veins. Wang et al. used a uremic AVF mouse model and showed that increased transforming growth factor (TGF)-β1 activates Notch signaling in ECs of AVFs; accelerated neointima formation and ultimately AVF failure occur following the activated Notch signaling. Studies by Sho et al. were focused on arterial remodeling . Using a rabbit left common carotid artery-left jugular vein AVF model, Sho et al. found that arterial EC density increased from 2814 ± 183/mm2 under pre-surgery physio-logical conditions to 4917 ± 501/mm2 after being exposed to high flow conditions for 3 days after AVF creation . The gene expression of vascular endothelial growth factor (VEGF) was upregulated 13-fold 1 day after AVF creation, proceeding endothelial cell proliferation. The gene expression of VEGF and VEGF receptor-2 was upregulated 25-fold and 33-fold, respectively, 3 days after AVF creation. A strong detection of VEGF protein was seen in ECs from 1 to 3 days after AVF creation. These data suggest that ECs contribute to arterial remodeling. Both patients receiving AVGs and porcine AVG models have increased levels of hypoxia-inducible factor 1-α (HIF-1α) expression in locations of restenosis [92, 93]. In stenotic vein samples obtained from 6 AVG patients upon graft failure, a large range of protein factors associated with HIF-1α were upregulated within 6 cm of the graft-venous anastomosis, including HIF-1α itself (1.8-fold vs control vein), macrophage migration inhibition factor (8.6-fold), MMP-2 (2.8-fold) and MMP-9 (2.5-fold), and tissue inhibitor of MMPs-1 (TIMP-1) (8.9-fold) . In a porcine model of AVG, many of these factors were increased in both the vein and also artery adjoining the graft, including MMP-2 and -9 [94, 95], and TIMP-1 and -2 . In another study using porcine AVG, significant MMP-9 and HIF-1α expression was seen at the venous anastomosis, coincident with the development of NH . Thus, HIF-1 α and MMPs seem to be critical in the formation of NH in AVG. As mentioned above, synthetic ePTFE grafts are also used as ABGs, which also suffer from NH formation. In a baboon model of arterial-arterial grafting, an ePTFE graft was placed between the ascending aorta and iliac artery (n=15) to investigate the expression of bone morphogenetic proteins 2, 4, and 5 (BMP-2, -4, and -5). BMP-2 mRNA expression reached a maximum of 1.6-fold increase (n=5, p<0.05) at Day 1, while BMP-4 and -5 expression reached a maximum of 1.73- and 1.32-fold, respectively, at Day 7 (n=5, p<0.05) . Additionally, extracts from the neointima demonstrated a 2-fold increase in BMP-4 protein by Western blot, and BMP-4 binding receptors BMPR-IA, -IB, and -II stained positive by immunohistochemistry in the neointima. However, it is not yet known whether BMP is involved in the formation of NH in AVGs. CKD patients often have factors other than kidney failure that may affect their vasculature, and it is possible that individual patients’ blood vessels may respond differently to the same hemodynamic stresses. This could be attributed to heterogeneity in the vascular wall biology, including endothelial function and clinical factors such as age, diabetes and stages of CKD. For example, it is known that diabetes leads to increased arterial stiffness and therefore, may compromise the ability of the feeding artery to expand following an AVF creation surgery. Thus, blood vessels from diabetic CKD and non-diabetic CKD patients may react to the same arteriovneous flow differently. Endothelial dysfunction is especially significant in the end-stage renal disease (ESRD) population due to the negative impacts of uremia and oxidative stress on the endothelium . Indeed, endothelium-dependent vasodilation has been found to be markedly impaired in chronic hemodialysis patients . Vascular dysfunction due to chronic uremia in CKD patients can be delineated into four categories, reviewed by Brunet P et al. : (a) increased rate of atherosclerosis; (b) increased arterial stiffness; (c) increased formation of vascular calcifications; and (d) impaired vascular repair and increased NH formation. Uremia is associated with a range of elevated toxins, including guanidines, advanced glycation end products (AGE), p-cresyl sulfate, platelet diadenosine polyphosphates, and indoxyl sulfate . These toxins are associated with increases in arterial stiffness, calcification, impaired vessel wound healing responses, and neointimal hyperplasia . Increased asymmetric dimethyarginine (ADMA) and AGE leads to a decrease in nitric oxide bioavalibility, leading to impaired dilatory function of arteries, as well as impaired signaling for nitric oxide-related processes such as wound healing . Thus, blood vessels from CKD patients may react to the same arteriovneous flow differently, depending on the endothelial damages by uremia. Although this review is focus on ECs, it is important to note that, when the endothelial layer becomes stripped away, luminal blood flow can exert forces directly on SMCs. Surgical trauma such as AV fistula creation and AV grafting can contribute to such denudation of the endothelial layer. The destruction of the endothelial monolayer can also be attributed to high shear stress (>400 dyn/cm2) . SMC proliferation is a key feature of NH, with the vast majority of neointimal cells being SMCs (77.0 ± 12.0% in a clinical study by Rekhter et al. ) [21, 102]. SMCs are responsive to WSS (see a comprehensive review by Shi and Tarbell ). Neointimal hyperplasia may be a result of upregulation of certain mechanotransduction pathways in SMCs induced by elevated levels of WSS. Sho et al. demonstrated that in a rabbit carotid AVF model of flow-induced arterial remodeling, SMCs contribute to arterial remodeling with SMC proliferation and migration occurring after EC proliferation . The role of SMCs in flow-induced venous remodeling in the AV access setting remains to be explored. In addition to WSS, ECs and SMCs are also exposed to CWS (Fig. 2). Studies by Price et al. and Pries et al. [104, 105] suggested that WSS and CWS dictate recruitment and differentiation of SMCs. Van Gieson et al. observed that increased pressure led to increased diameter and wall strain in microvessels, which subsequently led to increased CWS, and they hypothesized that the differentiation of immature SMCs was catalyzed by the local mechanical stimulus of increased wall strain. AVG implantation with subsequent shunting of arterial flow into the vein results in an increase in CWS at the venous wall. Substantial research has been conducted to investigate the effect of CWS on arterial remodeling and cell function, but not for the vein. Increased blood pressure, wall tension, and/or CWS have been shown to induce arterial wall thickening, particularly in the medial layer of arteries . Studies have reported a relationship between varicosity development and increased blood pressure in the vein [107-112]. Currently few reports linking CWS and pressure to venous NH formation exist. Although this review is focused on AVFs and AVGs, aberrant blood flow also occurs in central venous catheters (CVCs) which are inserted into a central vein such as the vena cava, internal or external jugular, or femoral vein to serve as a temporary access to a patient’s blood stream for hemodialysis . Ideally, CVCs are as wide and short as feasible for the patient . This is due to less blood flow resistance the larger the diameter and the shorter the length of the catheter. The recommended blood flow rate for a CVC is 300 ml/min, with pre-pump arterial pressure less than 250 mmHg . Failure to do so can lead to thrombosis and stenosis, as well as external fibrin sheath formation . Aberrant flow-induced thrombosis in CVC is beyond the scope of this review. AVF non-maturation and AVG stenosis are important problems and yet currently no clinical therapies are available to significantly promote AVF maturation or prevent neointimal hyperplasia in AVGs. This review has discussed the roles of fluid-wall shear stress and endothelial cells on AV access problems and provided an overview of the methods for characterizing shear stress in AV access. In the coming years, investigations should aim at understanding how different vascular wall cells (i.e., endothelial cells and smooth muscle cells) integrate various hemodynamics stresses (i.e., pressure, circumferential wall stress, fluid-wall shear stress), as well as confounding factors that modulate the impact of these hemodynamic stresses on cells, thereby creating a coherent theory of the contributions of aberrant hemodynamic stresses to AV access failure. The funding sources are NIH grants R01DK088777 and R01HL67646. The authors thank Mr. Jason Tey for his help in preparing this review. Schwab SJ, Oliver MJ, Suhocki P, McCann R. Hemodialysis arteriovenous access: detection of stenosis and response to treatment by vascular access blood flow. Kidney Int 2001; 59(1): 358-62. Mid-Atlantic Renal Coalition.2010 Fistula First Breakthrough Initiative annual report. In: Lake Success: NY. 2011. Caro CG, Fitz-Gerald JM, Schroter RC. Arterial wall shear and distribution of early atheroma in man. Nature 1969; 223(5211): 1159-60. Cunningham KS, Gotlieb AI. The role of shear stress in the pathogenesis of atherosclerosis. Lab Invest 2005; 85(1): 9-23. Glagov S, Zarins C, Giddens DP, Ku DN. Hemodynamics and atherosclerosis.Insights and perspectives gained from studies of human arteries. Arch Pathol Lab Med 1988; 112(10): 1018-31. Chatzizisis YS, Coskun AU, Jonas M, Edelman ER, Feldman CL, Stone PH. Role of endothelial shear stress in the natural history of coronary atherosclerosis and vascular remodeling: molecular. cell lar. and vascular behavior. J Am Coll Cardiol 2007; 49(25): 2379-93. Dardik A, Chen L, Frattini J , et al. Differential effects of orbital and laminar shear stress on endothelial cells. J Vasc Surg 2005; 41(5): 869-0. Davies PF, Remuzzi A, Gordon EJ, Dewey CF Jr, Gimbrone MA Jr. Turbulent fluid shear stress induces vascular endothelial cell turnover in vitro. Proc Natl Acad Sci USA 1986; 83(7): 2114-7. Paszkowiak JJ, Dardik A. Arterial wall shear stress: observations from the bench to the bedside. Vasc Endovasc Surg 2003; 37(1): 47-57. Keren G. Compensatory enlargement. remodeing. and restenosis. Adv Exp Med Biol 1997; 430: 187-96. Mattsson EJ, Kohler TR, Vergel SM, Clowes AW. Increased blood flow induces regression of intimal hyperplasia. Arterioscler Thromb Vasc Biol 1997; 17(10): 2245-9. Hahn C, Schwartz MA. Mechanotransduction in vascular physiology and atherogenesis. Nat Rev Mol Cell Biol 2009; 10(1): 53-62. Honda HM, Hsiai T, Wortham CM , et al. A complex flow pattern of low shear stress and flow reversal promotes monocyte binding to endothelial cells. Atherosclerosis 2001; 158(2): 385-90. Zarins CK, Giddens DP, Bharadvaj BK, Sottiurai VS, Mabon RF, Glagov S. Carotid bifurcation atherosclerosis.Quantitative correlation of plaque localization with flow velocity profiles and wall shear stress. Circ Res 1983; 53(4): 502-14. Dember LM, Beck GJ, Allon M , et al. Effect of clopidogrel on early failure of arteriovenous fistulas for hemodialysis: a randomized controlled trial. JAMA 2008; 299(18): 2164-71. Haddad NJ, Van Cleef S, Agarwal AK. Central venous catheters in dialysis the good the bad and the ugly. Open Urol Nephrol J 2012; 5(Suppl 1 M3 ): 12-8. National Kidney Foundation.KDOQI clinical practice guidelines and clinical practice recommendations for 2006 updates hemdodialysis adequacy peritoneal dialysis adequacy and vascular access. Am J Kidney Dis 2006; 48: S1-S322. Gibson KD, Gillen DL, Caps MT, Kohler TR, Sherrard DJ, Stehman-Breen CO. Vascular access survival and incidence of revisions: a comparison of prosthetic grafts. simple autogenous fistlas. and venous transposition fistulas from the United States Renal Data System Dialysis., Morbidity and Mortality Study. J Vasc Surg 2001; 34(4): 694-700. Allon M, Robbin ML. Increasing arteriovenous fistulas in hemodialysis patients: problems and solutions. Kidney Int 2002; 62(4): 1109-24. Dixon BS. Why don't fistulas matureκ. Kidney Int 2006; 70(8): 1413-22. Castier Y, Lehoux S, Hu Y, Foteinos G, Tedgui A, Xu Q. Characterization of neointimal lesions associated with arteriovenous fistulas in a mouse model. Kidney Int 2006; 70(2): 315-20. Corpataux JM, Haesler E, Silacci P, Ris HB, Hayoz D. Low-pressure environment and remodelling of the forearm vein in Brescia-Cimino haemodialysis access. Nephrol Dial Transplant 2002; 17(6): 1057-62. Nath KA, Kanakiriya SK, Grande JP, Croatt AJ, Katusic ZS. Increased venous proinflammatory gene expression and intimal hyperplasia in an aorto-caval fistula model in the rat. Am J Pathol 2003; 162(6): 2079-90. Roy-Chaudhury P, Spergel LM, Besarab A, Asif A, Ravani P. Biology of arteriovenous fistula failure. J Nephrol 2007; 20(2): 150-63. Krishnamoorthy MK, Banerjee RK, Wang Y , et al. Hemodynamic wall shear stress profiles influence the magnitude and pattern of stenosis in a pig AV fistula. Kidney Int 2008; 74(11): 1410-9. Allon M, Litovsky S, Young CJ , et al. Correlation of pre-existing vascular pathology with arteriovenous graft outcomes in hemodialysis patients. Am J Kidney Dis 2013; 62(6): 1122-9. Miller PE, Tolwani A, Luscy CP , et al. Predictors of adequacy of arteriovenous fistulas in hemodialysis patients. Kidney Int 1999; 56(1): 275-80. Beathard GA. The treatment of vascular access graft dysfunction: a nephrologist's view and experience. Adv Ren Replace Ther 1994; 1(2): 131-47. Kanterman RY, Vesely TM, Pilgram TK, Guy BW, Windus DW, Picus D. Dialysis access grafts: anatomic location of venous stenosis and results of angioplasty. Radiology 1995; 195(1): 135-9. Haskal ZJ, Trerotola S, Dolmatch B , et al. Stent graft versus balloon angioplasty for failing dialysis-access grafts. N Engl J Med 2010; 362(6): 494-503. Fung Y, Ed. Biomechanics: mechanical properties of living tissues. 2nd ed New York: Springer-Verlag. 1993. Papaioannou TG, Stefanadis C. Vascular wall shear stress: basic principles and methods. Hell J Cardiol 2005; 46(1): 9-15. Li L, Terry CM, Shiu YT, Cheung AK. Neointimal hyperplasia associated with synthetic hemodialysis grafts. Kidney Int 2008; 74(10): 1247-61. Malek AM, Alper SL, Izumo S. Hemodynamic shear stress and its role in atherosclerosis. JAMA 1999; 282(21): 2035-42. Langille BL, Bendeck MP, Keeley FW. Adaptations of carotid arteries of young and mature rabbits to reduced carotid blood flow. Am J Physiol 1989; 256(4 Pt 2): H931-9. Langille BL, O'Donnell F. Reductions in arterial diameter produced by chronic decreases in blood flow are endothelium-dependent. Science 1986; 231(4736): 405-7. Kassab GS, Navia JA. Biomechanical considerations in the design of graft: the homeostasis hypothesis. Annu Rev Biomed Eng 2006; 8: 499-535. Liu SQ. Biomechanical basis of vascular tissue engineering. Crit Rev Biomed Eng 1999; 27(1-2): 75-148. Kim YO, Yang CW, Yoon SA , et al. Access blood flow as a predictor of early failures of native arteriovenous fistulas in hemodialysis patients. Am J Nephrol 2001; 21(3): 221-5. Ene-Iordache B, Remuzzi A. Disturbed flow in radial-cephalic arteriovenous fistulae for haemodialysis: low and oscillating shear stress locates the sites of stenosis. Nephrol Dial Transplant 2012; 27(1): 358-68. Rotmans JI, Velema E, Verhagen HJ , et al. Rapid. arteriovenous graft failure due to intimal hyperplasia: a porine. bilateral., carotid arteriovenous graft model. J Surg Res 2003; 113(1): 161-71. Binns RL, Ku DN, Stewart MT, Ansley JP, Coyle KA. Optimal graft diameter: effect of wall shear stress on vascular healing. J Vasc Surg 1989; 10(3): 326-7. Misra S, Woodrum DA, Homburger J , et al. Assessment of wall shear stress changes in arteries and veins of arteriovenous polytetrafluoroethylene grafts using magnetic resonance imaging. Cardiovasc Intervent Radiol 2006; 29(4): 624-9. Taylor CA, Steinman DA. Image-based modeling of blood flow and vessel wall dynamics: applications. methods and future directions: 6th International Bio-Fluid Mechanics Symposium and Workhop. March 28-30., 2008 Pasadena., California. Ann Biomed Eng 2010; 38(3): 1188-203. Hull JE, Balakin BV, Kellerman BM, Wrolstad DK. Computational fluid dynamic evaluation of the side-to-side anastomosis for arteriovenous fistula. J Vasc Surg 2013; 58(1): 187-93 e1. He Y, Terry CM, Nguyen C, Berceli SA, Shiu YT, Cheung AK. 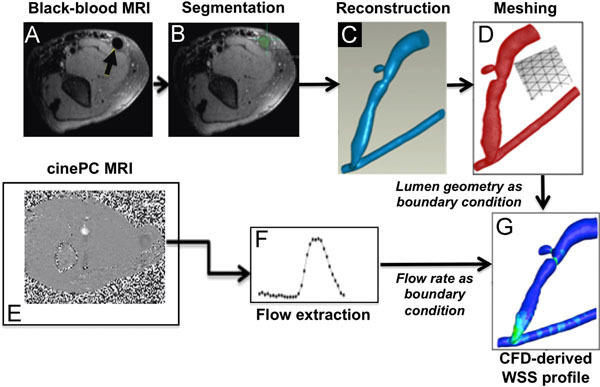 Serial analysis of lumen geometry and hemodynamics in human arteriovenous fistula for hemodialysis using magnetic resonance imaging and computational fluid dynamics. J Biomech 2013; 46(1): 165-9. Dammers R, Tordoir JH, Kooman JP , et al. The effect of flow changes on the arterial system proximal to an arteriovenous fistula for hemodialysis. Ultrasound Med Biol 2005; 31(10): 1327-33. Yerdel MA, Kesenci M, Yazicioglu KM, Doseyen Z, Turkcapar AG, Anadol E. Effect of haemodynamic variables on surgically created arteriovenous fistula flow. Nephrol Dial Transplant 1997; 12(8): 1684-8. Van Tricht I, De Wachter D, Tordoir J, Verdonck P. Hemodynamics in a compliant hydraulic in vitro model of straight versus tapered PTFE arteriovenous graft. J Surg Res 2004; 116(2): 297-304. Lemson S, Tordoir JH, Ezzahiri R, Leunissen KM, Kitslaar PJ, Hoeks AP. Hemodynamics of venous cuff interposition in prosthetic arteriovenous fistulas for hemodialysis. Blood Purif 2002; 20(6): 557-62. Willemet M, Lacroix V, Marchandise E. Inlet boundary conditions for blood flow simulations in truncated arterial networks. J Biomech 2011; 44(5): 897-903. Cole JS, Watterson JK, O'Reilly MJ. Numerical investigation of the haemodynamics at a patched arterial bypass anastomosis. Med Eng Phys 2002; 24(6): 393-401. McGah PM, Leotta DF, Beach KW, Riley JJ, Aliseda A. A longitudinal study of remodeling in a revised peripheral artery bypass graft using 3D ultrasound imaging and computational hemodynamics. J Biomech Eng 2011; 133(4): 041008. Weitzel WF, Kim K, Henke PK, Rubin JM. High-resolution ultrasound speckle tracking may detect vascular mechanical wall changes in peripheral artery bypass vein grafts. Ann Vasc Surg 2009; 23(2): 201-6. Reneman RS, Arts T, Hoeks AP. Wall shear stress--an important determinant of endothelial cell function and structure--in the arterial system in vivo.Discrepancies with theory. J Vasc Res 2006; 43(3): 251-69. Eckstein JW, Hamilton WK, Mc CJ. Pressure-volume changes in the forearm veins of man during hyperventilation. J Clin Invest 1958; 37(7): 956-61. Misra S, Doherty MG, Woodrum D , et al. Adventitial remodeling with increased matrix metalloproteinase-2 activity in a porcine arteriovenous polytetrafluoroethylene grafts. Kidney Int 2005; 68(6): 2890-900. Drougas JG, Barnard SE, Wright JK , et al. A model for the extended studies of hepatic hemodynamics and metabolism in swine. Lab Anim Sci 1996; 46(6): 648-55. Mekkaoui C, Friggi A, Rolland PH , et al. Simultaneous measurements of arterial diameter and blood pressure to determine the arterial compliance. wall mechanics and stresses in vivo. Eur J Vasc Endovasc Surg 2001; 21(3): 208-13. Bazin JE, Gillart T, Rasson P, Conio N, Aigouy L, Schoeffler P. Haemodynamic conditions enhancing gas embolism after venous injury during laparoscopy: a study in pigs. Br J Anaesth 1997; 78(5): 570-. Perktold K, Rappitsch G. Mathematical modeling of arterial blood flow and correlation to atherosclerosis. Technol Health Care 1995; 3(3): 139-51. Perktold K, Rappitsch G. Computer simulation of local blood flow and vessel mechanics in a compliant carotid artery bifurcation model. J Biomech 1995; 28(7): 845-56. Perktold K, Hofer M, Rappitsch G, Loew M, Kuban BD, Friedman MH. Validated computation of physiologic flow in a realistic coronary artery branch. J Biomech 1998; 31(3): 217-8. Taylor CA, Hughes TJ, Zarins CK. Finite element modeling of three-dimensional pulsatile flow in the abdominal aorta: relevance to atherosclerosis. Ann Biomed Eng 1998; 26(6): 975-87. Lee SW, Fischer P, Loth F, Royston T, Grogan J, Bassiouny H. Flow-induced vein-wall vibration in an arteriovenous graft. J Fluids Struct 2005; 20(6): 837-52. Manos TA, Sokolis DP, Giagini AT , et al. Local hemodynamics and intimal hyperplasia at the venous side of a porcine arteriovenous shunt. IEEE Trans Inf Technol Biomed 2010; 14(3): 681-90. Shiu YT, Pike DB, Terry CM, Li H, Cheung AK. Wall shear stress and oscillatory shear index in a porcine arteriovenous graft model. American Society of Nephrology Kidney Week (full-length research manuscript in preparation) 2011. Kuo PH, Kanal E, Abu-Alfa AK, Cowper SE. Gadolinium-based MR contrast agents and nephrogenic systemic fibrosis. Radiology 2007; 242(3): 647-9. Dangas G, Iakovou I, Nikolsky E , et al. Contrast-induced nephropathy after percutaneous coronary interventions in relation to chronic kidney disease and hemodynamic variables. Am J Cardiol 2005; 95(1): 13-9. Asif A, Roy-Chaudhury P, Beathard GA. Early arteriovenous fistula failure: a logical proposal for when and how to intervene. Clin J Am Soc Nephrol 2006; 1(2): 332-9. Konner K, Nonnast-Daniel B, Ritz E. The arteriovenous fistula. J Am Soc Nephrol 2003; 14(6): 1669-80. Rajabi-Jagahrgh E, Krishnamoorthy MK, Wang Y, Choe A, Roy-Chaudhury P, Banerjee RK. Influence of temporal variation in wall shear stress on intima-media thickening in arteriovenous fistulae. Semin Dial 2013; 26(4): 511-9. Vita JA, Holbrook M, Palmisano J , et al. Flow-induced arterial remodeling relates to endothelial function in the human forearm. Circulation 2008; 117(24): 3126-3. Asakura T, Karino T. Flow patterns and spatial distribution of atherosclerotic lesions in human coronary arteries. Circ Res 1990; 66(4): 1045-66. Schirmer CM, Malek AM. Computational fluid dynamic characterization of carotid bifurcation stenosis in patient-based geometries. Brain Behav 2012; 2(1): 42-52. Ku DN. Blood flow in arteries. Ann Rev Fluid Mech 1997; 29(1): 399-434. Haruguchi H, Teraoka S. Intimal hyperplasia and hemodynamic factors in arterial bypass and arteriovenous grafts: a review. J Artif Organs 2003; 6(4): 227-35. Idu MM, Blankenstein JD, de Gier P, Truyen E, Buth J. Impact of a color-flow duplex surveillance program on infrainguinal vein graft patency: a five-year experience. J Vasc Surg 1993; 17(1): 42-53. Kissin M, Kansal N, Pappas PJ, DeFouw DO, Duran WN, Hobson RW 2nd. Vein interposition cuffs decrease the intimal hyperplastic response of polytetrafluoroethylene bypass grafts. J Vasc Surg 2000; 31(1 Pt 1): 69-83. Davies PF. Flow-mediated endothelial mechanotransduction. Physiol Rev 1995; 75(3): 519-60. Texon M. The Hemodynamic Concept of Atherosclerosis. Bull N Y Acad Med 1960; 36(4): 263-74. Ku DN, Giddens DP, Zarins CK, Glagov S. Pulsatile flow and atherosclerosis in the human carotid bifurcation.Positive correlation between plaque location and low oscillating shear stress. Arterioscler Thromb Vasc Biol 1985; 5(3): 293-302. Gnasso A, Irace C, Carallo C , et al. In vivo association between low wall shear stress and plaque in subjects with asymmetrical carotid atherosclerosis. Stroke 1997; 28(5): 993-8. Meyerson SL, Skelly CL, Curi MA , et al. The effects of extremely low shear stress on cellular proliferation and neointimal thickening in the failing bypass graft. J Vasc Surg 2001; 34(1): 90-7. Lehoux S, Castier Y, Tedgui A. Molecular mechanisms of the vascular responses to haemodynamic forces. J Intern Med 2006; 259(4): 381-92. Jones GT, van Rij AM, Packer SG, Walker RJ, Stehbens WE. Venous endothelial changes in therapeutic arteriovenous fistulae. Atherosclerosis 1998; 137(1): 149-56. Masuda H, Kawamura K, Nanjo H , et al. Ultrastructure of endothelial cells under flow alteration. Microsc Res Tech 2003; 60(1): 2-12. Anwar MA, Shalhoub J, Lim CS, Gohel MS, Davies AH. The effect of pressure-induced mechanical stretch on vascular wall differential gene expression. J Vasc Res 2012; 49(6): 463-78. Tronc F, Mallat Z, Lehoux S, Wassef M, Esposito B, Tedgui A. Role of matrix metalloproteinases in blood flow-induced arterial enlargement: interaction with NO. Arterioscler Thromb Vasc Biol 2000; 20(12): E120-6. Wang Y, Liang A, Luo J , et al. Blocking notch in endothelial cells prevents arteriovenous fistula failure despite CKD. J Am Soc Nephrol 2014; 25(4): 773-83. Sho E, Komatsu M, Sho M , et al. High flow drives vascular endothelial cell proliferation during flow-induced arterial remodeling associated with the expression of vascular endothelial growth factor. Exp Mol Pathol 2003; 75(1): 1-11. Misra S, Fu AA, Puggioni A , et al. Increased expression of hypoxia-inducible factor-1 alpha in venous stenosis of arteriovenous polytetrafluoroethylene grafts in a chronic renal insufficiency porcine model. J Vasc Interv Radiol 2008; 19(2 Pt 1): 260-5. Misra S, Fu AA, Rajan DK , et al. Expression of hypoxia inducible factor-1 alpha. macrophage migration inhibition fator. matrix metalloproteinase-2 and -9., and their inhibitors in hemodialysis grafts and arteriovenous fistulas. J Vasc Interv Radiol 2008; 19(2 Pt 1): 252-9. Misra S, Fu AA, Misra KD, Glockner JF, Mukhopadyay D. Evolution of shear stress. protein expresion. and vessel area in an animal model of arterial dilatation in hemodialysis grafts. J Vasc Interv Radiol 2010; 21(1): 108-5. Nugent HM, Sjin RT, White D , et al. Adventitial endothelial implants reduce matrix metalloproteinase-2 expression and increase luminal diameter in porcine arteriovenous grafts. J Vasc Surg 2007; 46(3): 548-6. Hughes D, Fu AA, Puggioni A , et al. Adventitial transplantation of blood outgrowth endothelial cells in porcine haemodialysis grafts alleviates hypoxia and decreases neointimal proliferation through a matrix metalloproteinase-9-mediated pathway--a pilot study. Nephrol Dial Transplant 2009; 24(1): 85-96. Hsieh PC, Kenagy RD, Mulvihill ER , et al. Bone morphogenetic protein 4: potential regulator of shear stress-induced graft neointimal atrophy. J Vasc Surg 2006; 43(1): 150-8. Hammes M. In: Technical problems in patients on hemodialysis: InTech, 2011 [Cited: February 17]. Available from: http://wwwintechopencom/books/technical-problems-in-patients-on-hemodialysis/hemodialysis-access-the-fistula 2014. Brunet P, Gondouin B, Duval-Sabatier A , et al. Does uremia cause vascular dysfunctionκ. Kidney Blood Press Res 2011; 34(4): 284-90. Isenberg JS, Ridnour LA, Espey MG, Wink DA, Roberts DD. Nitric oxide in wound-healing. Microsurgery 2005; 25(5): 442-51. Rekhter M, Nicholls S, Ferguson M, Gordon D. Cell proliferation in human arteriovenous fistulas used for hemodialysis. Arterioscler Thromb 1993; 13(4): 609-17. Langer S, Heiss C, Paulus N , et al. Functional and structural response of arterialized femoral veins in a rodent AV fistula model. Nephrol Dial Transplant 2009; 24(7): 2201-6. Shi ZD, Tarbell JM. Fluid flow mechanotransduction in vascular smooth muscle cells and fibroblasts. Ann Biomed Eng 2011; 39(6): 1608-9. Price RJ, Skalak TC. Chronic alpha 1-adrenergic blockade stimulates terminal and arcade arteriolar development. Am J Physiol 1996; 271(2 Pt 2): H752-9. Pries AR, Secomb TW, Gaehtgens P. Design principles of vascular beds. Circ Res 1995; 77(5): 1017-23. Van Gieson EJ, Murfee WL, Skalak TC, Price RJ. Enhanced smooth muscle cell coverage of microvessels exposed to increased hemodynamic stresses in vivo. Circ Res 2003; 92(8): 929-36. Bujan J, Gimeno MJ, Jimenez JA, Kielty CM, Mecham RP, Bellon JM. Expression of elastic components in healthy and varicose veins. World J Surg 2003; 27(8): 901-5. Ishikawa Y, Asuwa N, Ishii T , et al. Collagen alteration in vascular remodeling by hemodynamic factors. Virchows Arch 2000; 437(2): 138-48. Jacob MP, Badier-Commander C, Fontaine V, Benazzoug Y, Feldman L, Michel JB. Extracellular matrix remodeling in the vascular wall. Pathol Biol (Paris) 2001; 49(4): 326-. Raffetto JD, Qiao X, Koledova VV, Khalil RA. Prolonged increases in vein wall tension increase matrix metalloproteinases and decrease constriction in rat vena cava: potential implications in varicose veins. J Vasc Surg 2008; 48(2): 447-56. Venturi M, Bonavina L, Annoni F , et al. Biochemical assay of collagen and elastin in the normal and varicose vein wall. J Surg Res 1996; 60(1): 245-8. Wali MA, Eid RA. Changes of elastic and collagen fibers in varicose veins. Int Angiol 2002; 21(4): 337-43. Banerjee S. Dialysis catheters and their common complications: an update. ScientificWorldJournal 2009; 9: 1294-9.